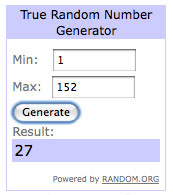 #27, Natalie! Congratulations! The Leap Frog Tag Reader and games will be heading your way soon. And for the rest of you, never fear. I’ll be giving away a Leap Frog Leapster 2 (with 2 extra games!) next week. Stay tuned. 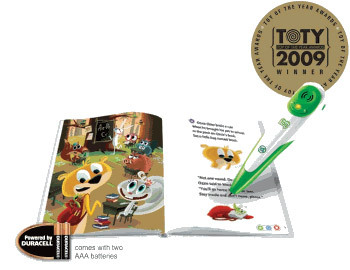 Leap Frog Tag Reader Giveaway! 1. On Monday, Wito’s lunch consisted of some Cheerios and string cheese because I wanted to eat HIS beloved leftovers from a Mexican restaurant the night before. 2. I get secretly pissed when he announces that he doesn’t like the song playing in my car….